What’s not to love about a reunion and the possibility of a little romance? Luke and Victoria were engaged twelve years earlier and they find themselves reunited during the most romantic time of the year. Jennifer Snow delivers a charming and heart-warming story you’ll enjoy over the holidays or any time! 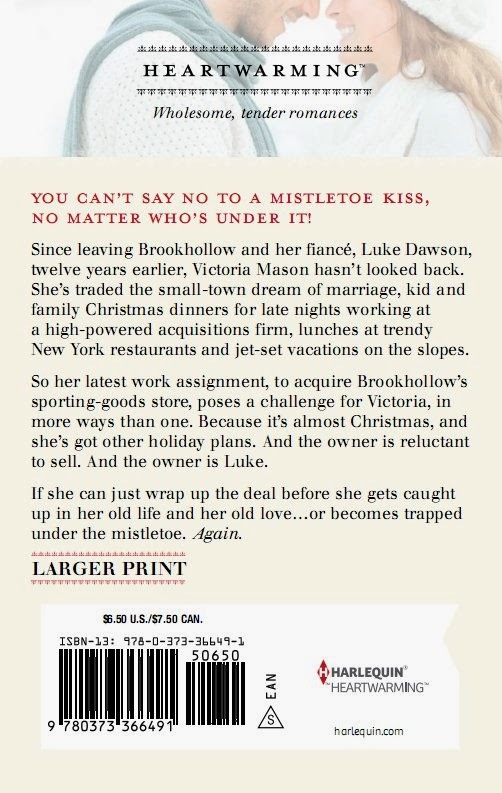 The Trouble with Mistletoe is set in a charming small town and this really added to the allure for me (yes…I’m a small town girl). The push and pull style attraction will speak to anyone who has felt themselves falling and tried to talk their heart out of the inevitable. Victoria and Luke are stubborn and it’s entertaining to add that dynamic to the rekindled romance. Thank goodness friends and family are there to push the relationship in the right direction! The Trouble with Mistletoe is the first book of Snow’s I’ve read. I was certainly not disappointed. The characters are well written. The soul searching theme about deciding what really matters has the makings of a Hallmark Holiday Movie. This is a heartwarming story full of detail. Snow has a knack for ensuring just the right amount of details in her writing. I didn’t find myself thinking ‘so what if the wallpaper is faded’ and similarly I wasn’t asking ‘I wonder what that looks like’. Snow does a fabulous job giving the right specifics leaving precisely enough to each reader’s imagination. This is a quick read. Snow writes in such a way you don’t want to put down The Trouble with Mistletoe. Putting it down is something like going for popcorn in the middle of a movie instead of before it starts. You don’t want to miss anything and can’t wait to find out what happens next. If you happen to be traveling during the holidays and are looking for an entertaining and heartwarming read The Trouble with Mistletoe should definitely be in your carry-on bag or purse. In fact, this might be just what you need even in the heat of summer, to bring back those mistletoe memories! Whenever you pick up The Trouble with Mistletoe I guarantee you won’t be disappointed! The Trouble with Mistletoe is available as a print and e-book at Amazon, Barnes&Noble, and Harlequin.com. 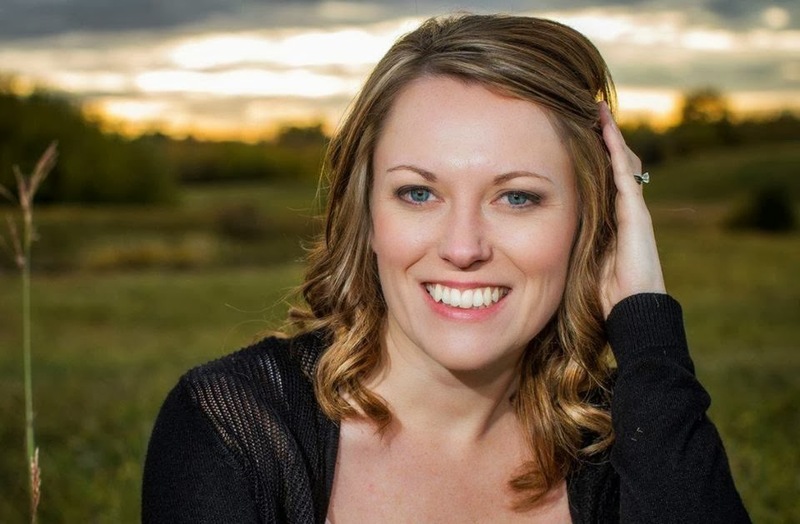 WOW: Jennifer, what draws you to writing a holiday themed book and what tips would you give other authors who might be considering this type of project? 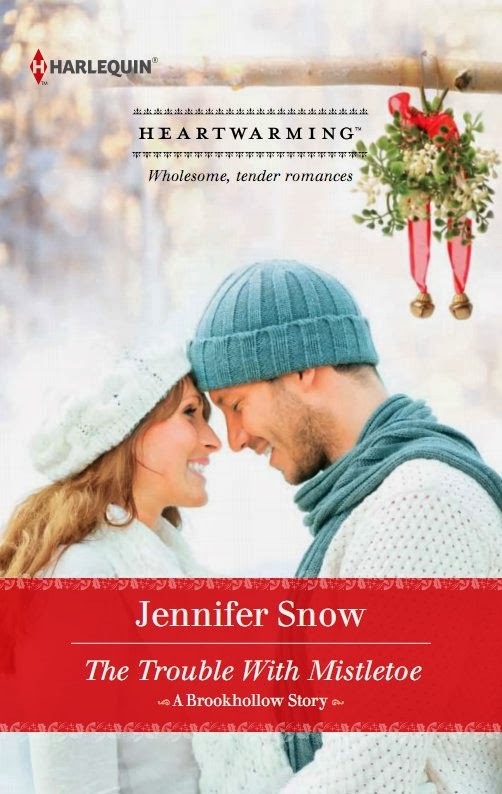 Jennifer: Holiday themed romances have always been my favorite books to read. There's something magical and romantic about the holiday season that makes it a perfect setting for these love stories. The holidays are usually also about going home, reminiscing about the past, connecting with family and friends, or fighting the loneliness that can accompany the season therefore it lends itself to some very interesting plot lines as well. I also enjoy writing them because they usually have a set timeline-starting usually around Thanksgiving or later and ending on Christmas Eve/Christmas Day or sometimes New Years and they also provide a standard backdrop setting behind the story. One tip I would give authors considering this type of project is to try to write a story that could have happened at any time of the year and use the element of the holiday season as an added sense of urgency in your plot. I find that my books continue to sell throughout the year because of this. WOW: I love that tip about adding the element of the season to an already solid storyline. Thank you for sharing that! Now, if I might ask – when did you start writing and why? Jennifer: I started writing at age four, after my mom taught me to read and write. I always had a pencil or pen in my hand for as long as I could remember. Growing up, my room was always a mess of clothes everywhere as I preferred to use my dresser as a place to store my journals and notebooks-the important stuff:) My mom is a fantastic writer, so I guess my love of writing comes from her. Despite graduating from university with a degree in Linguistics and Psychology, I never really aspired to be anything but a writer. I think to be successful in this industry; you really can't have a Plan B option. Don't get me wrong, I've always worked a day job until very recently, because we all have to pay the bills, but for me, writing has never taken a back seat to any other career choice. I read a quote somewhere once that said something to the effect that-if you don't have to be a writer-don't. But if you try to do other things, and you keep coming back to writing, then you are a writer. WOW: I’m a little jealous when you say writing has never taken a back seat; this is certainly something many of us struggle with. When I wrote my review I couldn’t help but think “this would SO be a great Hallmark Holiday Movie!”, so I have to ask if any of your books have been turned into movies. If they haven’t already, which one do you feel would be the best one to see on the big screen and who would play the leading man? WOW: I won’t ask how your husband feels about your casting choices – after all, a girl can dream, right? What’s in the works for you for 2014 and beyond Jennifer? Jennifer: 2014 is a fantastic, busy year for me. I have three Brookhollow Series books set to be released from Heartwarming in Feb (today actually-yay! ), Sept and Nov and I am currently working on another three book series set in Hollywood that I am hoping to start pitching to publishers this Fall. And the final two books of the Brookhollow series, which are already under contract with Heartwarming will release in 2015. My hope is to always have at least one holiday release a year, as they continue to be my favorite to write. And I am open to whatever else may come my way! WOW: I don’t know where you find the time – but I sure appreciate you taking time out of your busy schedule to stop by here on the Muffin to chat. Now before you run off to release that series, let’s hear what advice you can share with other authors as far as getting their stories published and marketing their books! Jennifer: Just keep trying! Take each rejection letter and use the advice to make your work stronger, more polished...I started submitting to publishers when I was sixteen years old and thought I knew everything about writing lol. Turns out, I knew very little, but I was determined to make it happen, so I pushed on reading every reference book I could get my hands on and just not accepting 'no' as a final answer to my dream. My mom always said growing up that 'if you want something bad enough, you'll get it' and it's true. I wholeheartedly believe that determination, hard work and perserverance will win over talent and skill everytime. Of course if you have all of those things you're headed to the New York Times Bestseller list for sure lol:) And don't be too quick to give up on a manuscript--it only takes one awesome agent (like Stephany Evans) or a fabulous editor (like Victoria Curran) to believe in you and your work and promising things will start to happen. As far as marketing your work--honestly I've tried it all--swag, street team, blog hops, decals on my truck, participating in author events locally and at conferences, the use of social media and the help of a virtual assistant and really it's hard to determine what works, so all I can suggest is to try it all and do whatever feels most natural for you. In the end, I think a good book is the best marketing tool. Thanks again for hosting me on your wonderful site! WOW: Jennifer, Thank YOU! This has been such a pleasure and I can't wait to start reading your newest release(s)! I really enjoyed this interview, Crystal and Jennifer. I have a romance novel idea, and have been playing around with it, but need to read more romances first! So, now I have a good recommendation from Crystal for your books, Jennifer! :) I also like the idea of getting your solid storyline first and then putting the holiday in--nice idea. I always read a Christmas romance for the book review job I have for the newspaper! :) Thanks again for this great post. I've never been much for romance novels, but this novel sure looks interesting. 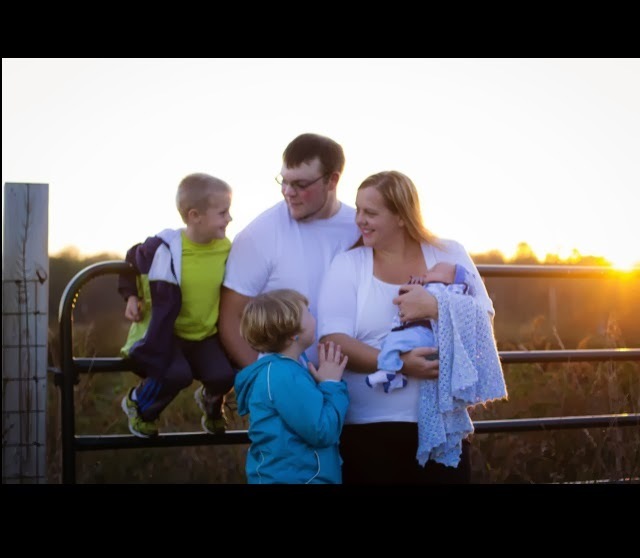 I think it would make a great Hallmark or Lifetime movie. Great interview! So many book reviews are just that, I enjoyed reading about the woman behind the book. Thanks! Great interview! I haven't read anything by Jennifer Snow. This sounds like a good one to add to my TBR list.